Waste-to-Energy Solutions, EnviroPower Renewable Inc.
is finding clean energy sources that are both environmentally responsible and economically viable. EnviroPower Renewable technology rises to the challenge. 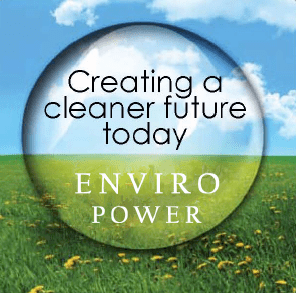 EnviroPower Waste to Energy and Material Recovery facilities effectively address the issue of diminishing landfill space while creating a clean, green renewable energy source. Of the primary thermal waste conversion methods (pyroylsis, plasma gasification, incineration, gasification and anaerobic digestion), air fed gasification has been proven the most efficient and environmentally friendly. EPR develops advanced and environmentally friendly energy generation solutions in markets worldwide. We work with leading equipment manufacturers, engineering procurement and construction (EPC) companies and institutional and private funding sources. EPR normally retains equity positions and long-term management contracts in projects, assuring our continued involvement as well as consistent execution and operation during the entire life of each project. Nonetheless, EPR stands ready to develop custom gasification systems to meet specific clients requirements, such as metal recovery or fly ash to cement, on a design, build, operate, transfer basis.